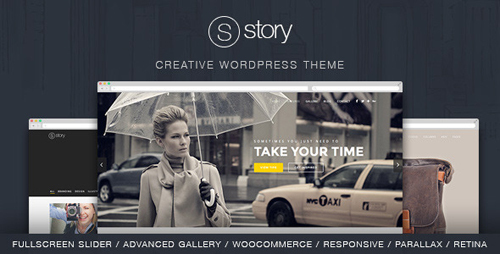 Story is a sharp, modern and clean WordPress theme. 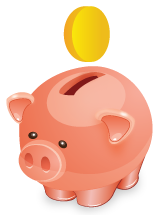 The theme is very flexible and it comes with some awesome features, such as a�fullscreen slider, custom headers and custom�background sections, which make it perfect for showcasing and selling your work and products. Story WordPress theme is a multi-purpose theme that can be used for any type of website, such as�creative portfolio,�photography,�products,�corporate and business�sites. With the combination of responsive design and parallax animations, this theme will provide an optimal viewing experience and will make your website look great on across wide range of devices and screen sizes. The theme comes with an extensive admin panel, packed with various options so you can easily modify styles, colors, fonts, layouts and other aspects of the theme.